Protect your pet with a Protector collar. 1/2" tall solid steel nickel plated spikes are permanently set with brass rivets. 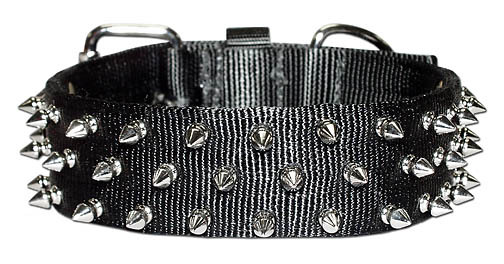 These 2-ply collars are e made with heavy nickel hardware and stitched with premium nylon thread.